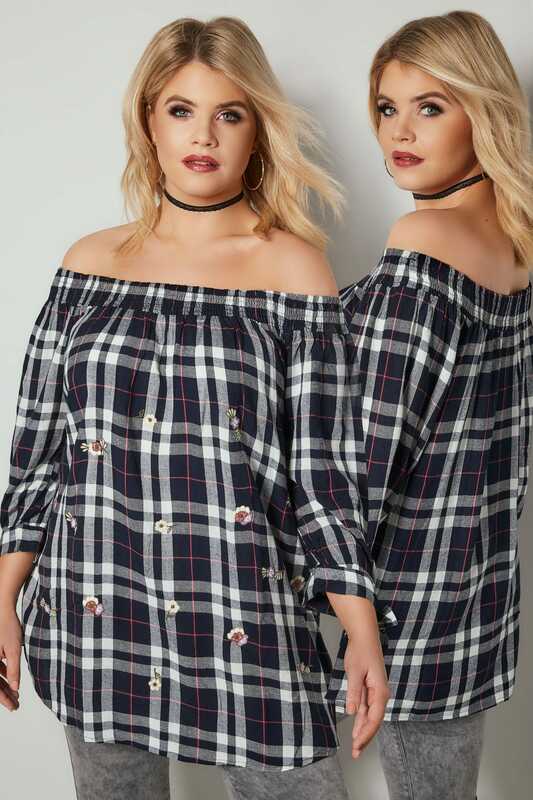 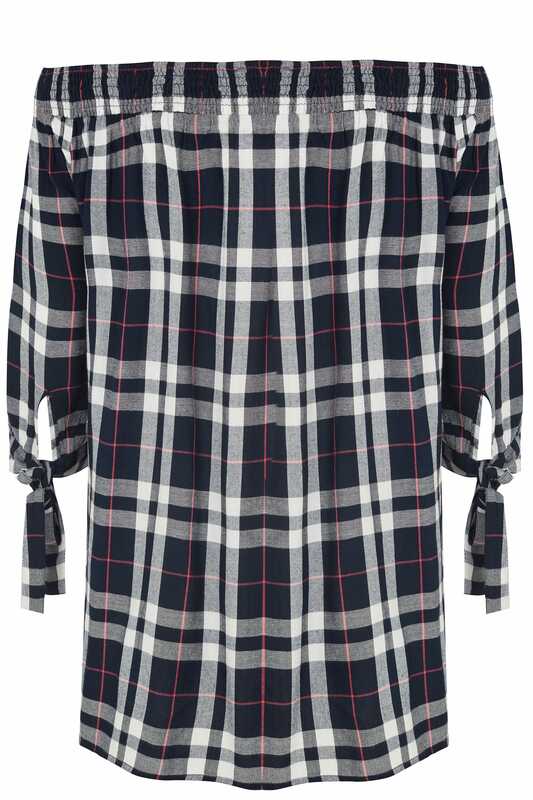 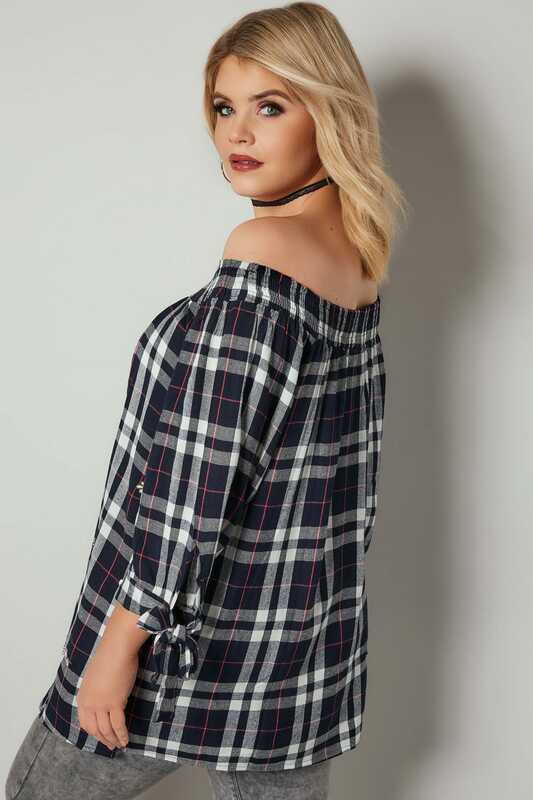 This chic checked top is a daytime must-have this season. 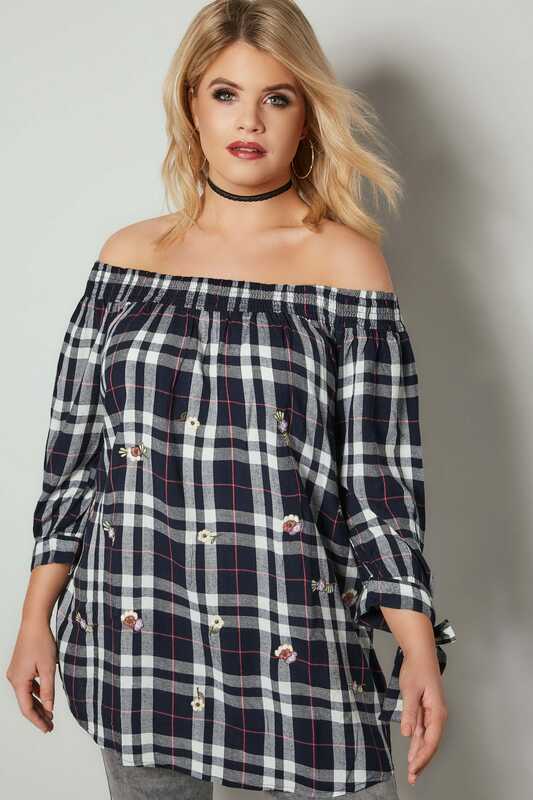 In a comfortable woven design, its on-trend Bardot style features 3/4 length sleeves with tie fastenings and an elasticated band around the chest and upper arms for a perfect fit. 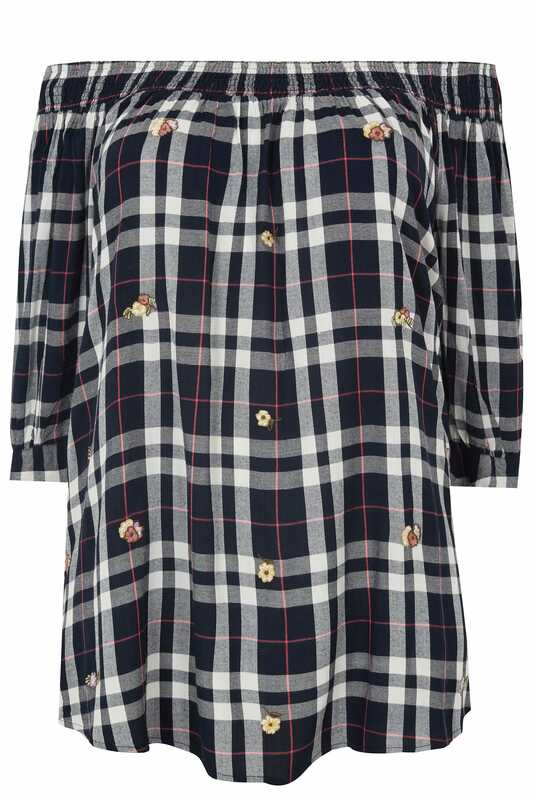 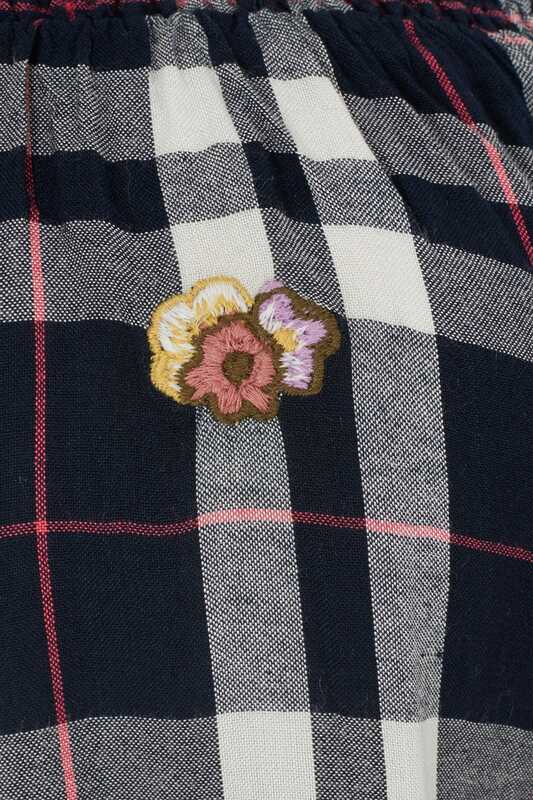 In style with its navy checked print and elegant floral embroidered details.